Summary: A former salsa prodigy attempts a comeback years after his career was ruined by a rival dancer. After the disappointment that was The World’s End last year actor Nick Frost really owes his fans something special. While there have been the obvious films such as Hot Fuzz and Shaun Of The Dead that have seen Nick Frost at his best, he also manages to surprise cinema goers every now and then with surprise hits like Attack Of The Block. Now comes Cuban Fury a film that certainly isn’t a masterpiece, but a film that is just likable to make it a crowd favourite. Frost plays Bruce Garrett a lovable loser in life who in his junior days was a champion salsa dancer. During that period he was known for his heels of fire and his coach, Ron Parfait (Ian McShane) led him and his dance partner, his sister Sam (Olivia Colman) to dance title after dance title. But then Bruce’s life changed forever when he found himself bashed by a gang who took exception to his sequin shirt that he was wearing to the National Championships. At that moment Bruce turned his back on his dancing career and made a vow to never salsa again. Flash forward quite a number of years and Bruce know works for a company that designs industrial lathes. He enjoys his life but there isn’t much for him to do. He works, hangs out with Sam at the bar that she works in and then once a week catches up with his loser friends and plays golf with them. But then suddenly something comes into Bruce’s life that gives it meaning again – his new boss Julia (Rashida Jones). While Bruce wants to win the hand of the fair maiden he finds himself constantly put down by his arch rival in love, the bully Drew (Chris O’Dowd) and finds himself believing that there is no possible way he can win her affection. It is then that he discovers Julia has a love for salsa and wonders whether or not it is possible to capture that old magic once again. Director James Griffiths (who is mostly known for his television work) really has found himself at the helm of a safe film when it comes to Cuban Fury. Screenwriter, Jon Brown has handed him a script that is full of clichés but also has that winning formula that has made a few dime-a-dozen comedies work over the years. Yes Cuban Fury isn’t the kind of film that will win awards or win over the serious cinema goer but will certainly entertain your average popcorn set film fan. Brown’s script is interesting. It is sign-posted within an inch of its life but at the same time manages to throw up in just enough laughs to lure the audience in and having them chuckling along with the film as it goes. Film buffs that have seen a lot of films over the years will be able to pick exactly where this film is going from scene-to-scene but at the same time they won’t be disappointed as the laughs are more than enough to keep them entertained. The saddest thing about the script of Cuban Fury though is at times it does hold back its cast. Rashida Jones, Olivia Colman, Ian McShane and Kayvan Novak (who play extremely stereotypical gay Arab, Bejan) are given so little to do during the film that they don’t even have to raise a sweat as they breeze through their lines. However the script doesn’t seem to handicap the comedic abilities of its two leads though. Chris O’Dowd seems to relish being able to play the bully-boy while Frost overcomes the fact that he has one of the least dancer-like bodies in the history of cinema to deliver a lovable performance. The dance-off between O’Dowd and Frost is one of the highlights of the film. Cuban Fury overcomes its clichéd script to become a watchable beer-and-pizza comedy that will be enjoyed by men and women alike. There’s also a brief appearance by Simon Pegg for all the fans of The Cornetto Trilogy. 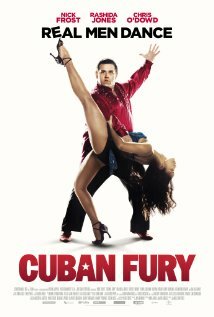 Other Subculture Media Reviews of ‘Cuban Fury′: Nil. This week on the show Dave, Nick, Adam and Greg take a look at new release films ‘Greetings From Tim Buckley’, ‘10o Bloody Acres’, The Way Way Back’ and ‘The World’s End’ . 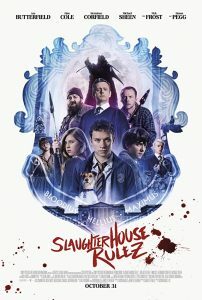 This episode also features interviews with Steve Carrell, Sam Rockwell, Edgar Wright, Simon Pegg, Nick Frost and AnnaSophia Robb. The boys also take a look at the latest news about ‘Wolf Creek 2’ and explore the best…um… ‘Most Unlikable Characters In Film’. They also give away some copies of ‘The Last Exorcism 2′ thanks to Transmission Films. Summary: In The World’s End, 20 years after attempting an epic pub crawl, five childhood friends reunite when one of them becomes hellbent on trying the drinking marathon again. 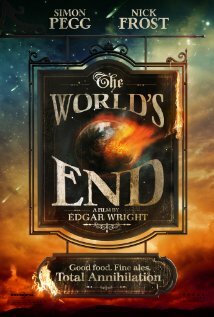 They are convinced to stage an encore by mate Gary King (Simon Pegg), a 40-year-old man trapped at the cigarette end of his teens, who drags his reluctant pals to their hometown and once again attempts to reach the fabled pub – The World’s End. As they attempt to reconcile the past and present, they realise the real struggle is for the future, not just theirs but humankind’s. Reaching The World’s End is the least of their worries. Other Subculture Media Reviews of ‘The Way Way Back′: Please check The Good The Bad The Ugly Film Show Ep #43 for more reviews of ‘The Way Way Back’. Get ready for a comedy invasion! Simon Pegg, Nick Frost and Director Edgar Wright will be in Australia this July to celebrate the release of their eagerly-awaited new film THE WORLD’S END – the final chapter in the ‘Three Flavours Cornetto’ trilogy, which includes 2004’s breakout hit SHAUN OF THE DEAD and 2007’s cop-comedy HOT FUZZ. Fans will have the opportunity to see the trio when they walk the red carpet at the film’s Australian Premiere on Tuesday July 16 at Melbourne Central. Pegg, Frost and Wright will then visit Sydney on Wednesday July 17. THE WORLD’S END centres on five childhood friends who reunite after 20 years in an attempt to complete an epic pub crawl and reach the fabled pub, The World’s End. But finishing the pub crawl becomes the least of their worries when they realise the real struggle is for survival, not just theirs but mankind’s. THE WORLD’S END also stars THE HOBBIT’s Martin Freeman and JACK REACHER’s leading lady Rosamund Pike. Summary: Scrats nutty pursuit of the cursed acorn, which hes been after since the dawn of time, has world-changing consequences a continental cataclysm that triggers the greatest adventure of all for Manny, Diego and Sid. In the wake of these upheavals, Sid reunites with his cantankerous Granny, and the herd encounters a ragtag menagerie of seafaring pirates determined to stop them from returning home. While at times during Ice Age: Continental Drift it seems like the filmmakers behind the series have lost control of their storyline this still ends up being an enjoyable watch that will be loved by both kids and adults alike. This time around sees Manny (voiced by Ray Romano – Sack’s West, TV’S The Middle) and Ellie (Queen Latifah – Joyful Noise, TV’S Let’s Stay Together) having some parental problems with their daughter, Peaches (Keke Palmer – Rags, TV’S Winx Club). Peaches feels she is old enough to her own thing while Manny still feels that she needs her parents around. Meanwhile poor old Sid (John Leguizamo – One For The Money, Lincoln Lawyer) is having family issues of his own when his family stop by and dump him with the ‘burden’ that is Granny (Wanda Sykes – The Muppets, TV’S Futurama). All those problems however seem petty when Scrat’s (Chris Wedge – Ice Age 3: Dawn Of The Dinosaurs, TV’S Family Guy) love for acorns starts a catastrophic shift of Earth that soon sees Manny, Sid, Granny and Diego (Denis Leary – The Amazing Spider-Man, TV’S Rescue Me) stranded on an iceberg while Ellie is left to the save the lives of all the other creatures. At times it feels like screenwriters Michael Berg (Ice Age 3: Dawn Of The Dinosaurs, Ice Age) and Jason Fuchs (Rags, Pitch) have lost their senses by bringing pirates into the Ice Age franchise. The story doesn’t fit comfortable with fans of the franchise yet the duo put so much heart into the script, and a healthy dose of thrills that at the end of the day it doesn’t seem to really matter. These screenwriters are so talented they also infuse some great lessons centered at teaching children to respect their parents in such a way that the message gets across loud and clear but never once seems preachy. Ice Age: Continental Drift certainly isn’t the best film in this franchise but it is still an enjoyable watch. 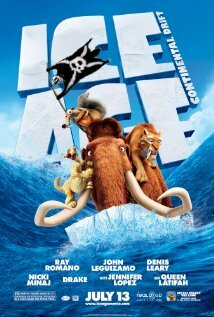 Other Subculture Media Reviews of ‘Ice Age 4: Continental Drift: http://www.helium.com/items/2342952-movie-reviews-ice-age-continental-drift-2012. Summary: Nick Frost and Simon Pegg star as two science-fiction freaks who, while on a quest to discover what lies at the heart of Nevada’s infamous Area 51, cross paths with an alien (voice of Seth Rogen) on the run from earthly authorities. Dave Griffiths’s ‘Paul’ Review: Move over Ricky Gervais, the true Kings of Comedy want their throne back. While Paul isn’t as good as Shaun of the Dead and Hot Fuzz, it once again shows that when it comes to comedy nobody really knows the game like Simon Pegg and Nick Frost. While it isn’t as good as their previous efforts, it is still a million times better than a lot of the films served up in cinemas these days. Paul tells the story of English comic book nerds Graeme Willy (Simon Pegg) and Clive Gollings (Nick Frost) as they arrive in the U.S. to attend Comic Con and to also take a journey through the Extraterrestrial Heartland of America. However, their journey doesn’t go as planned when they run into Paul (voiced by Seth Rogen), an alien who is desperately trying to get back to his home planet. Just to add to their concerns, they soon find themselves being chased by the authorities, led on the ground by Agent Zoil (Jason Bateman) and then running into religious nut, Ruth Buggs (Kristen Wiig). Greg Mottola really does earn his keep as director of Paul. While many may say that the director, who has brought movies such as Superbad and Adventureland to the world, is in his element directing a comedy, you really do need to sit back and take a look at what Nick Frost and Simon Pegg’s script called for him to do. It called him to direct a comedy with some science fiction and action sequences thrown in for good measure that also has a dramatic storyline at the centre. That and he has to direct Paul, a CGI character that for obvious reasons was never on set to take his place in scenes. Luckily Mottola was up to the task, and what you are left with is a film that seamlessly welds nearly all of the film genres together. Frost and Pegg also need to be congratulated for the fact that they remembered that even though they were writing a comedy, the audience does in fact enjoy having some character development. Aside from their script, Frost and Pegg also put in relatively good performances in the lead roles. As usual they are certainly on top of the comedic scenes, and to their credit, they also pull off the dramatic scenes surprisingly well. Gone are the days when a comedy actor can just rely on being funny to be great in a role. Honorable mention must also be made of Kristen Wiig who steals many a scene with an amazingly hilarious portrayal of Ruth, while Jason Bateman also does a fine effort playing Agent Zoil. It really is a pity we don’t get to see him in more films. If you loved Fanboys, you’ll love Paul. It is a terrific comedy that is a must see for all of the fanboys out there! Other Subculture Media Reviews of ‘Paul′: This review was first published in Buzz Magazine. Sometimes when you are successful you unintentionally set yourself up for a fall. That is certainly the case for Simon Pegg and Nick Frost, when you are the creative minds behind brilliant films like Shaun Of The Dead and Hot Fuzz people expect something amazing every time you put pen to paper. Paul is nowhere near as good as the previously mentioned films, but having said that it is still ten times better than most of the films around today. Paul tells the story of English comic book nerds, Graeme Willy (Simon Pegg – The Chronicle Of Narnia – The Voyage Of The Dawn Treader, Burke And Hare) and Clive Gollings (Nick Frost – TV’S Money, The Boat That Rocked) as they arrive in the U.S. to attend Comic Con and to also take a journey through the ‘Extraterrestrial Heartland Of America’. However their journey doesn’t go as planned when they run into Paul (voiced by Seth Rogen – Fight For Your Right Revisited, The Green Hornet), an alien who is desperately trying to get back to his home planet. Just to add to their concerns they soon find themselves being chased by the authorities, led on the ground by Agent Zoil (Jason Bateman – The Switch, TV’S Sit Down Shut Up) and then running into religious nut, Ruth Buggs (Kristen Wiig – TV’S Saturday Night Live, Funny Or Die Presents…). Greg Mottola (Adventureland, Superbad) was the right choose as a director for Paul. Using Frost and Pegg’s script as a guidance he does a wonderful job mixing outrageous comedy while not forgetting that there is also a dramatic storyline also going on. Poor Mottola certainly gets his directional skills tested as he practically has to weld all genres together (apart from drama and comedy there is also sci-fi and action to throw into the mix) seamlessly, as well as direct, Paul… a character that is never present on the set. Luckily, he is up to the task and what you are left with is a film that a pure joy to watch. Once again Nick Frost and Simon Pegg show why they are the two best comedic actors going around at the moment. Their comedy scenes are impeccable while much to their credit they can also pull-off dramatic scenes with ease. Credit must also be paid to Jason Bateman who is excellent as the deliberately rubbery Agent Zoil and Kristen Wiig who steals the show on a number of occasions with her over-the-top portrayal of Ruth. Paul is a terrific comedy that is a must see for comic book fans out there. 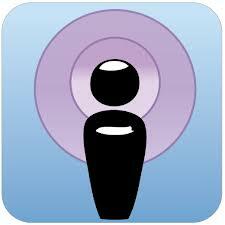 It is the best fanboy comedy since… well Fanboys.